Sleep apnea is a serious condition that not only impacts your quality of life but also your health. If you do not receive sleep apnea therapy in Bellingham, there can be potentially deadly consequences, such as an increased risk of heart attack and stroke. Unfortunately, having symptoms of the disorder is not enough to get the treatment you need. Instead, you much undergo sleep apnea testing for an accurate diagnosis. This allows us to create the customized treatment plan you need to protect your health and your quality of life. During your initial consultation, any signs and symptoms of the disorder are discussed, as well as your sleep history. You are then recommended to undergo sleep testing. There are multiple types available; however, the most common include nocturnal polysomnography and home sleep tests. The polysomnography test is used to diagnose a variety of sleep disorders. It records your brain waves, oxygen levels in your blood, breathing, and heart rate. It also monitors your eye and leg movements as well. The test is often conducted at a special center to allow your sleep patterns and disruptions to be correctly identified. Polysomnography is noninvasive and painless, so you have nothing to worry about. There are no side effects or risks, other than skin irritation caused by the adhesive needed to attach the test sensors. Now, your dentist in Bellingham can offer an alternative solution with home sleep tests. A small portable device is used to measure your heart rate, blood oxygen level, airflow, and breathing patterns. 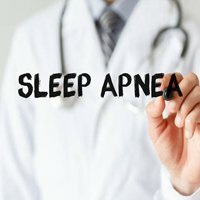 If the results of the study find any abnormalities, you may be able to get the treatment you need without any additional testing, such as a sleep apnea appliance in Bellingham. In some cases, you may need to undergo a polysomnography before your customized treatment plan can be created. Based on the results of your study, an individualized treatment plan is developed. 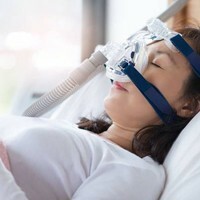 Traditional treatment involves the use of a CPAP machine, which delivers a steady stream of air through a mask worn over the mouth or nose. As an alternative, you can also choose an oral appliance. This is a custom fit device that repositions your jaw forward to keep your airways open. If you are losing sleep at night from loud chronic snoring or interruptions in your breathing, you can get the rest you need. Contact Moreno & Young Dental today to schedule your consultation for sleep apnea therapy.